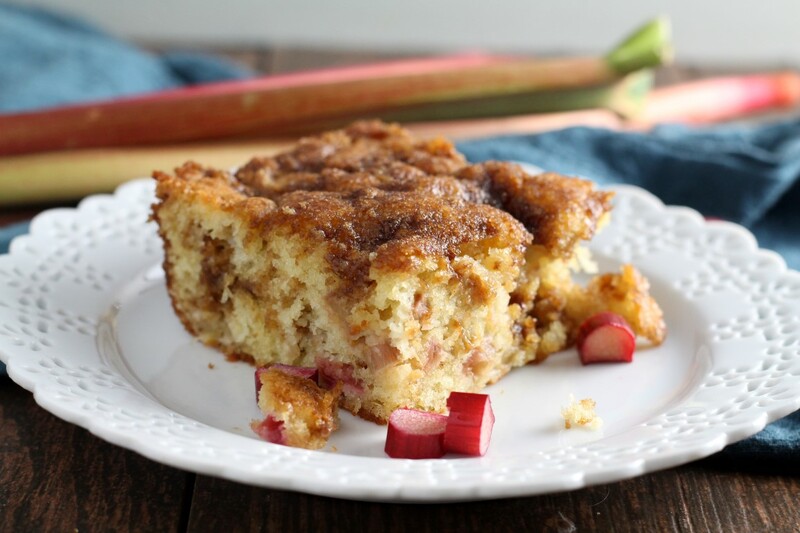 An easy way to use up extra rhubarb, this rhubarb coffee cake is the perfect excuse to eat cake for breakfast. I’m happy to say that my baby is back to his normal, happy self after his ear infections. One of my favorite parts of the day is walking into his room in the morning after he wakes up and seeing the huge smile he gets on his face when he sees me. He smiles so big it makes his whole body wiggle with excitement. I wish I was always that happy to face the day….